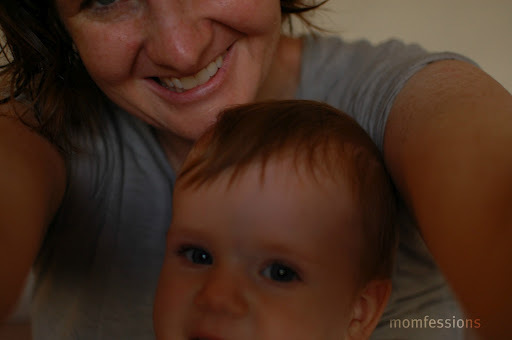 In honor of World Breastfeeding Week 2012, I wanted to repost my Breastfeeding journey with the three Bugs! Doodlebug and I nursed exclusively for over 13 months! If I were being honest, I would tell you breastfeeding is not my favorite part of motherhood. In fact, I have told several people that. I was determined to nurse Ladybug, and it was very hard and very painful in the beginning. I would watch the clock, dreading the moment she would wake and need to nurse again, and I cried through each feeding. I reduced my “goal” from six months to one month, and decided if I was still struggling at the one month mark, I would give it up. The Lord was gracious to heal us by one month, and I was able to continue to nurse Ladybug. I was pregnant again when Ladybug was eight months old, and I decided to wean so the new little bug could have all the nourishment he needed from me. So we weaned. And Ladybug was such a content li’l bugger, she never looked back. Stinkbug was a distracted nursling. On off, on off, look around, stress mommy out. It didn’t help that during my seven months of breastfeeding Stinkbug, we packed and sold all of our earthly belongings to move overseas. I was on emotional overload and having such a distracted nursing baby was pushing me over the edge. After reaching my six month goal, it just became easier to give him a bottle, and by seven months, we were completely done. I don’t regret either of my first two nursing experiences. My goal was six months for each, and both times I succeeded. I have grown a lot as a mom since 2007 when I held my first brand new baby and tried to get her to nurse. When Doodlebug was placed in my arms in 2010, I knew what to do. But more than mechanics, I had come to appreciate breastfeeding as more than just a meal for my baby. 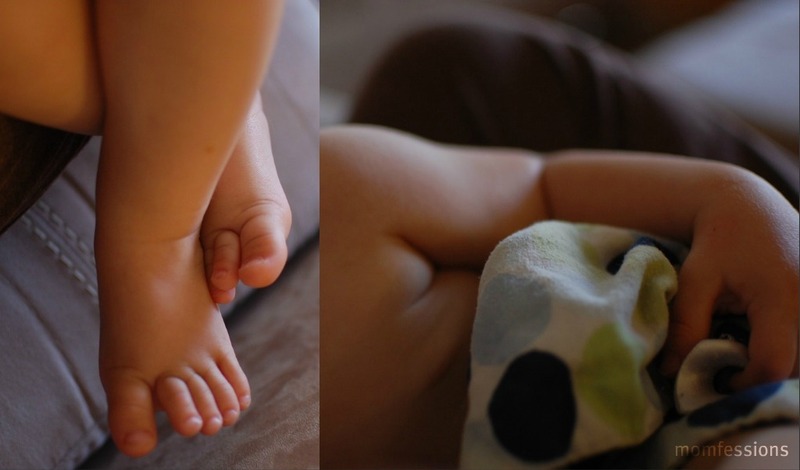 As a stressed out first time mom, the clock ruled my world. I had read some questionable “infant training” materials and I didn’t trust myself because the books didn’t seem to trust that I would know what to do. I wanted baby to nurse for X amount of minutes at designated intervals and sleep all night. Period. Those things equaled success in my mind. I felt guilty and anxious if those things weren’t happening exactly as the books prescribed. And then Doodlebug arrived on the Momfessions scene. I have really enjoyed my nursing relationship with Doodlebug. Doodlebug loves drinking his milk, and I have loved giving it to him. I feel so proud of the fact that I have provided him with milk for the past 364 days. Today I asked him if he wanted some milkie and he cruised over to me smiling, and pulled at my shirt. Maybe it has something to do with the fact that Doodle is our last (planned) biological baby that has caused me to enjoy nursing him so much. Maybe it’s being a third-time mom that has made me relax and just nurse him without worry, without anxiety. Whatever it is, I am so thankful for this breastfeeding journey with Doodlebug. My goal with Doodlebug was a year and tomorrow, I will have made my goal of one year. And I’m pretty proud of it. I feel like it’s been a hard and rewarding journey and it has changed me so much– just like every other aspect of parenting!